People who flip houses for a living often map out a more realistic timeline for buying, owning and selling their property. Whether looking to purchase an income property as another revenue stream or to add to an investment and retirement portfolio, people who’ve taken this route have enjoyed economic security and financial stability. Calgary’s bragging rights of having western Canada’s tallest skyscraper will remain intact for at least a few more years. Growing economy, low unemployment rate, low interest rates, and positive migration have kept the real estate market in Calgary very stable. Despite strong sales activity this year, Calgary housing market remains affordable. As usual, Calgary is becoming the cowboy capital of the world in July. For ten days and nights, the Stampede will take you back in history. If you’re considering buying a former grow-op, you can make a good deal.If you don’t feel secure, it’s better to hire professionals to check it. How Does the European Bailout Affect the Canadian Real Estate? Europe seems to be sinking deeper into crisis and those who were pretty optimistic at the beginning have already started to lose hope. Three quarters of Albertans are in debt! Leading North American financial institution CIBC published a new Debt Poll which revealed that 72 per cent of Canadians are in debt. Calgary is one of the seats of Canada’s largest consulting firm exclusively dedicated to creating green buildings – Enermodal Engineering. Homeowners Associations (HOA) are legal entities maintaining quality and value of the properties, ensuring compliance with rules and obligations. Hawaii has a reputation as a stalwart long-term equity market that is in favor among those with a comparatively patient investment strategy. Bloomberg Markets Magazine has released its annual list of the world’s strongest banks- four Canadian banks are in the top 10 and two in top 25! You have finally decided to buy your dream cottage — a place with a relaxing environment. What are the thinks to consider? Calgary continues to have strong economic growth with the second lowest unemployment rate in Canada and low downtown office vacancies. The Calgary real estate market offers one of the best conditions for investments, but was unable to retain any major spike in resales last year. In the last week, there were no changes to the mortgage qualifying rate of the Bank of Canada (BoC). Renting your property raises several important issues that you should definitely consider before making such an important decision. Canadian business people also appear in the list of billionaires published annually by Forbes. They control a part of the world’s wealth. Last week, the mortgage qualifying rate of the Bank of Canada (BoC) reached 5.44 per cent with a prime rate at 3.00 per cent. Canadians who face this difficult task should be aware of the pros & cons of buying and renting and check their affordability. As far as income inequality is concerned, development in Canada is fundamentally similar to other countries. Existing home sales have been strong from a historic perspective through the ﬁrst four months of 2012. Here’s a list of several interesting books that provide fascinating and valuable information for real estate investors. Who Will Take Steps to Control Household Debt? Although the household debt fell in the 4th quarter of 2011, the reason wasn’t decreasing debt but income for farms and unincorporated businesses. The Bank of Canada called for help to deal with the situation with the indebted aging population. Real estate prices in Canada follow the very opposite pattern as the rest of the world and continue to reach new records. Economists agree that the real estate market is vulnerable and that Canada’s housing bubble has become a topic of hot debate. Does an Abundance of Choices Make Us Happy? Don’t worry: whatever you want to do, you always have a lot of options. You have your freedom of choice. But is this a good thing? Financial experts call for additional regulation to help ensure that homebuyers are prepared to pay off their loans. No matter how well built your home is, it is always vulnerable to thefts, fire, natural disasters, and other threats. New mortgage regulations are needed. Canada’s real estate market and consumer debt levels have risen to unsustainable levels. If Calgary and Toronto met in a housing battle, who do you think would end up as the winner? The Bank of Canada has once again decided to maintain its target for the overnight rate at 1 per cent. According to HSBC’s chief economist, the wars in the Canadian mortgage market that have surged over the past month have subsided. Mark Carney admitted that low interest rates over a prolonged period can encourage borrowers to borrow too much and for too long. On January 20th, 2009, the Bank of Canada announced that it was decreasing its target for the overnight rate from 1.5 per cent to 1 per cent. 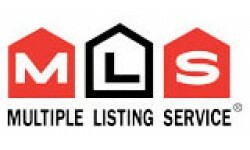 In January 2012, Calgary Realtors reported 1080 sales through the Calgary MLS® system. Sales are down by 1% year-on-year. The extremely low rates at the beginning of this year increased somewhat, and they have now stabilized. They remain low. Joseph Stiglitz made the phrase, “Privatize profits; socialize losses,” popular. However, he isn’t the one who invented it. Should Albertans Brace For the Wrath of the Have-Nots? Ron Liepert warned that the province should be prepared for billions in revenue from the province’s oil sands that will lead to tensions. According to a new report by UBS AG, household debt-to-income ratios are still at record high levels in Canada, but the risk remains moderate. After the BMO offered a five-year fixed rate of 2.99 per cent, the lowest five-year rate in modern Canadian history, this week’s rate grew. 2011 started with a few signals of improvement in real estate market. However, the market still followed its weak trend. The Bank of Canada left its overnight rate target of 1 per cent unchanged for the 16th consecutive month. Renting vs. Buying: What to Choose? Buying own home – who doesn’t dream about that? However, after financial crisis more and more people reconsider their dreams. For the month of December, new listings for single family homes fell 41% for the month, and are down 1% for the year. Looking at the Phoenix example, Steven Jon Kaplan says that real estate will drop by 50 per cent everywhere. Only one change occurred in the table: the one-year lowest closed fixed mortgage rate decreased. The hot growth mecca, as Calgary was described by a forecast in Emerging Trends in Real Estate 2012, attracts investments and new work migrants.